Eleotin® helps lower and control blood glucose levels, then maintain these low levels for a long time. This maintenance continues for a long time even after stopping Eleotin®. Some users have testified that the benefits of Eleotin® lasted for over two years after they stopped taking it. With Eleotin®’s help, the body’s own ability to control blood glucose levels is restored. Then, the body continues to work correctly by itself. Isnt this beautiful? Eleotin® helps regenerate the insulin receptors of muscle or liver cells. It also helps regenerate the insulin producing ß (beta) cells in the pancreas. These two molecular level changes improve insulin production and insulin binding. These changes help the body control blood glucose levels independently. Complications such as restless sleep, numbness in extremities, and frequent urination are greatly improved by Eleotin®. For long term maintenance of blood glucose levels, individuals should maintain a healthy lifestyle and take Eleotin® 3 to 5 days per month, or take at least one quarter of the regular dosage. Of course, some people may stop taking Eleotin® entirely. Once the body becomes normal, what you need mainly is a healthy lifestyle. But Eleotin® should not be considered a cure if you define cure as “a completely successful treatment that restores the individual to a pre-illness state by removing the cause.” Eleotin® is not a cure for diabetes under this definition. Eleotin® does not remove the causes of diabetes and its symptoms such as blindness, late stage neuropathy, and kidney failure. But there have been known and frequent cases where vision has substantially improved, and diabetes related complications such neuropathy and kidney failure greatly soothed by Eleotin®. One cannot say at all that Eleotin® reverses all complications completely. Eleotin® improves a majority of complications. Because scientists researching diabetes do not actually know for certain the exact causes of diabetes, nobody can state anything is a cure, including Eleotin®. Many believe diabetes is “civilization disease.” They mean that the real, ultimate cause of diabetes is the modern lifestyle prescribed by our modern civilization. So we should not dive into the debating whether Eleotin® is a “cure”, without reflecting on the word’s definition first. Many people, especially those in the diabetes establishment with billions of dollars at their disposal, say “Eleotin® is a food. Therefore it cannot make any medical claims.” But then, how could they explain away the thousands of books with titles like “Recipes for Diabetes”? These books talk about how some foods are good for treating diabetes, just like Eleotin® is. The only difference between Eleotin® and these ingredients is that Eleotin® is supported by studies, theories and data. So basically, the diabetes establishment is not against all food treating diabetes, but rather only the food whose benefits can be proven. As long as the benefits remain unproven, the diabetes establishment does not say a thing. As soon as the claims are proven, they mobilize a whole organization to protect “their science”! It is one of the sad reasons why Eleotin® is not sold in some countries. What are Eleotin®’s Modes of Action? You may need some medical knowledge or background to fully understand how Eleotin® works. But it is very important to understand how Eleotin® works. The most important thing to remember is that Eleotin® works in several different ways, and each different mode of action strengthens the others. The synergy between the different modes of action is called “Eleotin®s Combination Effect.” Synergy and combination are two key words. Eleotin® assists in the digestive process. It helps decompose carbohydrates into glucose at a healthier rate. Eleotin® assists in the digestive process by providing natural substances that restore the balance among digestive enzymes. This mechanism is especially helpful because it helps the body avoid the harmful sudden rises in glucose levels after a meal. Also, Eleotin® provides rich, natural fibers that help with the digestive process. Medical doctors would say Eleotin® assists to “inhibit the breakdown of carbohydrates through alpha glucohydrolase.” However, please just remember that Eleotin® controls the rate of digestion of carbohydrates so that a sudden rise of blood sugar is minimized. Eleotin® Improves How Efficiently the Body Uses Insulin. Eleotin® improves the functioning of insulin receptors. It up-regulates or improves the activity levels of insulin receptors in muscle and liver cells. Thus, Eleotin® stimulates the binding between insulin and the insulin receptors. Simply put, Eleotin® improves the efficiency with which the body uses the insulin. ß (beta) cells in the pancreas secrete insulin. This insulin acts a _alyst for turning sugar into the energy our cells need to survive and grow. To do this, insulin must bind with an insulin receptor on a muscle, liver or fat cell. But insulin becomes ineffective when insulin receptors in muscle cells are scarce or when the insulin receptors do not function properly. Such faulty insulin receptors are called down-regulated insulin receptors. Down-regulated insulin receptors cause the glucose to remain in the blood, and then blood glucose levels to rise. This phenomenon is called “insulin resistance:” the body resists insulin and glucose is not properly used as a result. Eleotin® reduces insulin resistance by safely restoring the functionality of the insulin receptors. This is a striking feature. Only Eleotin® possesses it and no other health food or drug has demonstrated it without any side effects. Drugs have appeared claiming to reduce insulin resistance. But, a startling number of their users died of liver failure. It was discovered that these problems were known before the marketing of the product began. But marketing and selling went ahead anyway. Why? There are three answers: stock price, stock price, stock price. At the news of the FDA approval of this drug, their stock price shot up, generating more than $10 billion. 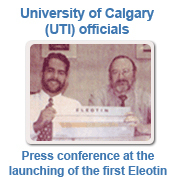 Experts agree that this feature of Eleotin® is very unique and very valuable. This is why many people argue that Eleotin® is the ideal weight control product. They say that Eleotin® directly attacks the fundamental problem of insulin resistance, while other diets, such as the Atkins Diet, try to circumvent the problem. It was also found that Eleotin® users lose visceral fat (fat around the belly). In addition, not only did they lose the weight, they maintained the weight loss. This is due to the enhancement of insulin usage induced by Eleotin®. Frequent exercise enhances the body’s insulin efficiency. Eleotin® has a similar effect. This does not mean, however, that Eleotin® should be a substitute for exercise. The Combination Approach of Eleotin® clearly distinguishes itself from other therapies. This Combination Approach also reduces any side effects while it increases Eleotin®’s therapeutic power. Please remember Bülgi’s principle of synergistic combination where the gentleness of the treatment is enhanced and the curative effects are multiplied. If a treatment relies on a particular mode of action, then the burden of the therapy is placed too heavily on that particular mode of action. Diabetes is a disease where the whole body suffers silently for a long time. A gentle, synergetic, combination approach is the best way to combat this disease. Test results show that the ß (beta) cell levels of many patients improved after only 3 months of Eleotin® usage. Also, some severely diabetic customers, whose ß (beta) had almost been completely destroyed, experienced a restoration of their ß (beta) cell function. This is a very encouraging sign because it implies a possible solution to Type I diabetes. Consequently, Eleotin® was tested on a few Type I volunteers. The volunteers all reported substantial health improvements, and better blood glucose control. Many of them were able to reduce their insulin requirements by 60-70%. But, some words are of caution are necessary. Even though there were many Type II diabetic patients completely normal with Eleotin®, not a single Type I diabetic patient became completely normal. All Type I diabetic patients had to continue relying on insulin injections, albeit on a reduced amount. Reports continue to come on Eleotin®s effects on Type I diabetics. But it must be emphasized that so far Eleotin® has never completely cured a single case of Type I diabetes. It merely helps greatly. Does Any Other Natural Herbal Product Do This? Dried silk worms, commonly used in China and Korea to treat diabetes, serve a similar function. Like Eleotin®, they lower the blood glucose level by preventing carbohydrates from being suddenly decomposed into glucose. But the side effects of dried silkworms cause side effects include indigestion, diarrhea, and flatulence. In some cases, dried silk worms weaken the immune system. Eleotin® does not have these side effects. Actually most Eleotin® users report improved digestion. By the time 40,000 people had used Eleotin®, only three users reported minor discomfort. Their complaint was either diarrhea or constipation. Eleotin®’s high fiber content was the reason for these complaints. As soon as the users stopped drinking the fiber sediments, drinking only the liquid after the preparation, both complaints disappeared. The capsule form does not present this problem at all. Most other herbal diabetic products for blood glucose control work by blocking the digestive decomposition of carbohydrates into sugar. Eleotin® does not block this decomposition. It enables the body to gently slow down the decomposing process so that the body can enjoy the maximum benefits. Eleotin® stimulates and restores the basic health of the pancreas. It increases the healthy regeneration of ß (beta) cells in the pancreas and increases the secretion of insulin from the pancreas. These drugs are the primary class of diabetic drugs. They also stimulate insulin secretion from the pancreas. But these drugs are only effective when ß (beta) cells maintain their basic function of insulin generation. In other words, there needs to be enough insulin released in order for secretion to be effective. But sulfonylurea drugs can decrease insulin production in the long term by straining the ß (beta) cells. The body eventually becomes resistant and the drugs’ agents lose their effectiveness. Dosages then need to be continually increased, while the effectiveness diminishes anyways. On average, after 7 years of usage, these drugs no longer work. Most patients are then forced to rely on insulin injections to control their glucose levels. The long term intake of Sulfonylurea drugs can cause serious side effects. Sulfonylurea drugs often over-stimulate the pancreas and produce too much insulin. This overproduced insulin removes too much sugar, or glucose, from the blood and actually result in hypoglycemia. It is an ironic story. For sufferers of diabetes, this is a very serious problem. They have to carry around candy to counter this problem. A lack of insulin should have been countered within the natural framework of restoring the body’s general balance. But when it is countered with a single symptomatic synthetic drug, hypoglycemic side effect is unavoidable. This can be even more dangerous than high blood sugar levels. Seizures and heart attacks become possible. Renal disease are additional complication of this class of drugs. Eleotin® has no such side effects because it is derived from natural herbs. Eleotin®s herbal combination does not result in resistance. The natural insulin secretion gently stimulated by Eleotin® does not cause hypoglycemia. Eleotin® is shown to help the body secrete more insulin only when the body needs it. Therefore, the risk of hypoglycemia is greatly reduced.